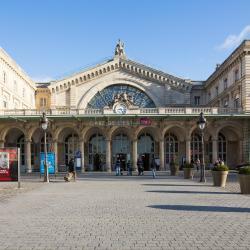 Looking for hotels near Rue Saint-Maur Metro Station? 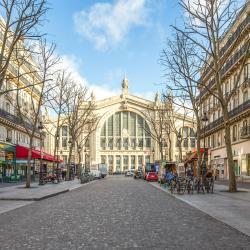 Located 1312 feet from Canal Saint-Martin and Place de la République, Albert's Hotel offers a bar and free WiFi internet access. 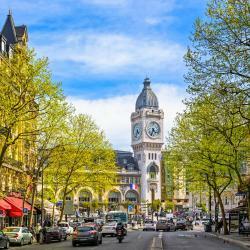 Paris’s Marais district is a 10-minute walk away. Everything, really pleasant and nice staff. 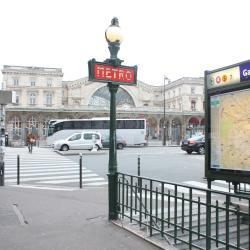 Hotels with great access to Rue Saint-Maur Metro Station! Hôtel International Paris is located on a side street just 1148 feet from bars and cafés along Canal Saint Martin. It offers free Wi-Fi access in the entire hotel. The staff were always very helpful and friendly. 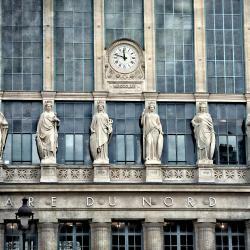 The 20 Prieuré Hotel is located in the Republique district of Paris, just a 5-minute walk from the Canal Saint Martin. It offers air-conditioned rooms with a contemporary décor and free Wi-Fi access. Room was large for a 3-star hotel, staff alert and accommodating. Located in the fashionable Marais district, 1K Hotel is designed to reflect the Inca culture of Peru with its restaurant and its 2 bars. Really helpful staff; well equipped room; bathroom in junior suite was great.